On our previous post we shared one way we have seen companies approach startups via innovation programs by looking for startups that are working outside of an organization’s industry and engaging with them to see what’s out there. But what if you want to source startups from your industry who have a different approach to things than you? There are multiple ways in which startups and corporations team up. Startups thrive on innovation. They can be a great tool to solve a problem that you have in your organization but one that isn’t necessarily in your focus. Genentech’s Quest Award is a great example of this. 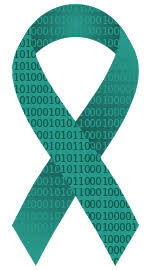 Cervical cancer is the third most common cancer for women worldwide. The American Cancer Society estimates that 95% of cervical cancer could be prevented with a regular pap smear test and HPV screening. Because of lack of knowledge, access and stigma many women don’t get tested regularly. Through Quest Award, Genentech partnered with information and communication technology startups to raise awareness and fight the stigma around cervical cancer. Even though that is not what Genentech usually focuses on, it’s still relevant for their organization. With startup programs for new ideas like this one, sourcing is broader and participants are encouraged to pivot into the fields of research. These challenges will typically have a higher engagement turnaround and will yield earlier-stage startups. Are you looking for startups to help you solve a problem? We want to help you, contact us.